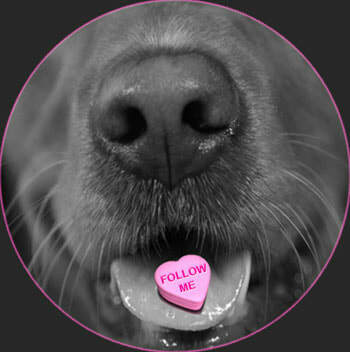 Welcome you with open paws! 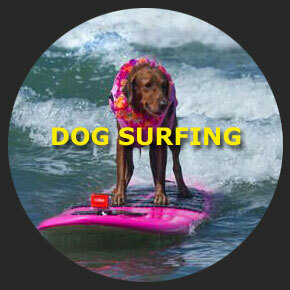 ​Ricochet is a world famous, award-winning surfing dog who surfs for fun, wins surf dog competitions & most importantly... SURFS WITH PURPOSE! 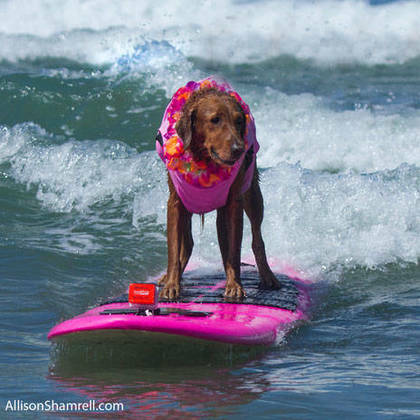 She was one of the first surfing dogs on the circuit, and has been instrumental in getting worldwide recognition of dogs on surfboards! 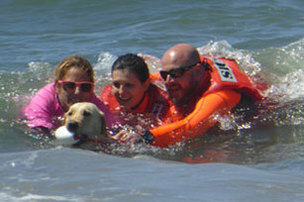 She typically places in the first three winning spots in a dog surfing competition. 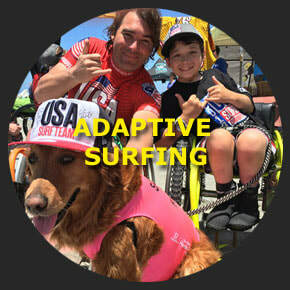 ​She is the canine ambassador for surfers with disabilities® and surfs solo, with children, adults, pros, celebrities, other dogs, a goat & even Rob Machado! In 2009, Ricochet made an independent decision to jump on a surfboard with a boy who is quadriplegic, and started a revolution! She clearly showed the world what her life purpose is! 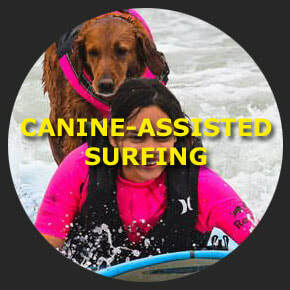 Since then, she has surfed with hundreds of individuals, and became the only SURFice dog® on the planet who provides canine assisted surfing and other activities to empower, enhance and improve the quality of life for individuals with physical, cognitive, or emotional disabilities. 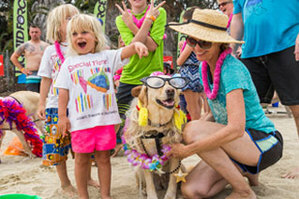 ​Ricochet and Cori are part of Puppy Prodigies, a non-profit organization that provides paws-on healing through canine-assisted surfing, paddling, swimming, playing, therapy and other programs. 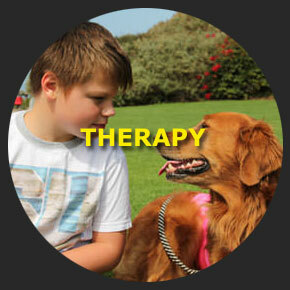 We provide assistance to kids with special needs, people with disabilities, wounded warriors and veterans with PTSD. 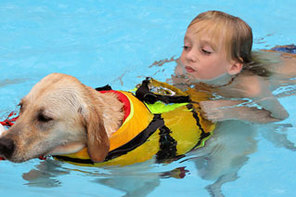 Services are provided by surfing dogs, therapy dogs, emotional support dogs, PTSD dogs and service dogs.​ We also provide information, education and resources to all pet parents on the different types of assistance/working dogs, dog behavior, the healing power of dogs and other dog related subjects. 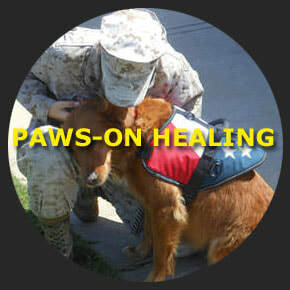 ​We are rooted in the human-canine bond and dedicated to helping individuals grow in mind, body and spirit through the unconditional love and acceptance only a dog can provide. 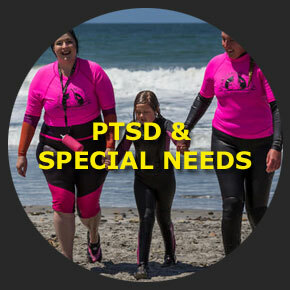 ​Ricochet has been surfing with kids with special needs, people with disabilities, wounded warriors & veterans with PTSD since 2009. Learn more. ​other special needs. Learn more.